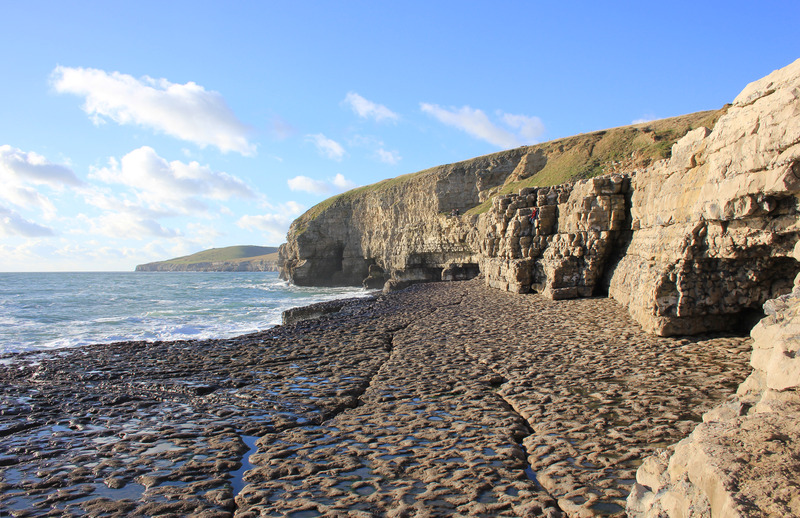 I had been looking forward to Dancing Ledge for miles, and then all of a sudden it popped into view. There – in the foreground! 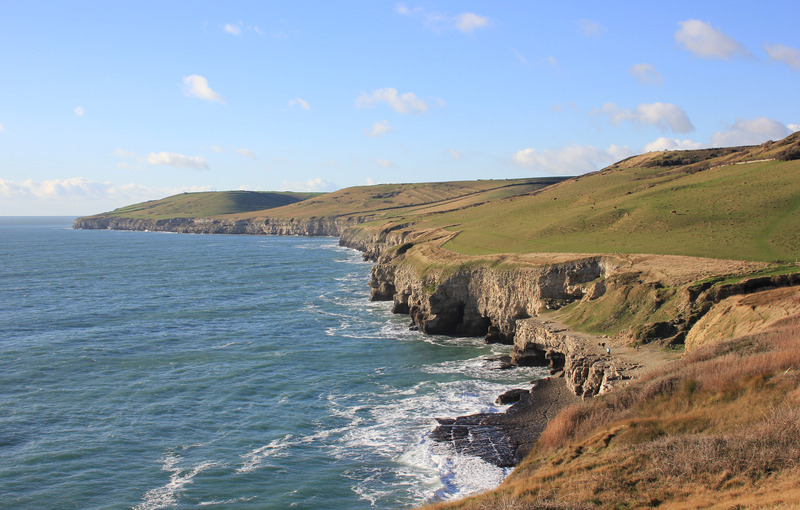 Dancing Ledge was the site of the largest cliff quarry in Dorset which did not have road access. It was last used for this purpose in the 1930’s. There were caves dotted around the base of the cliffs but I didn’t venture too far in. The rocks littering the ground looked as if they had fallen away from the cliff faces above and I did not want to get in their way. 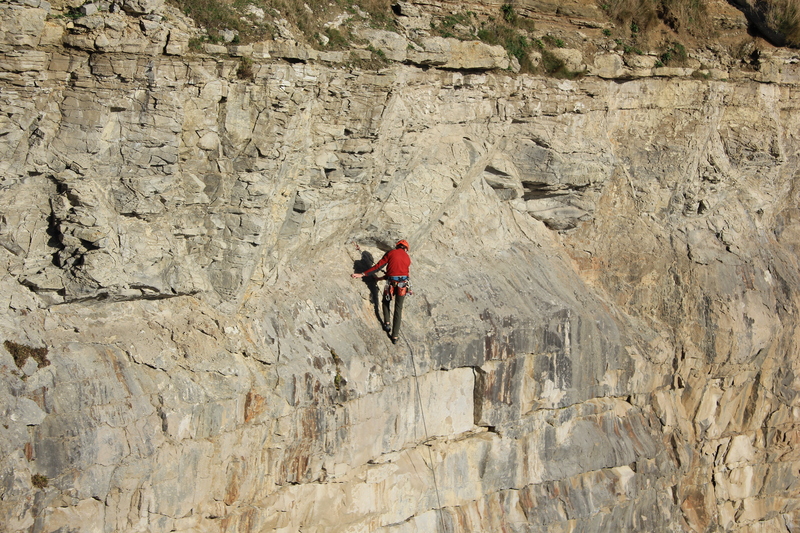 The quarried cliff faces are now a popular spot for climbers. This second chap had to work harder than his friend! 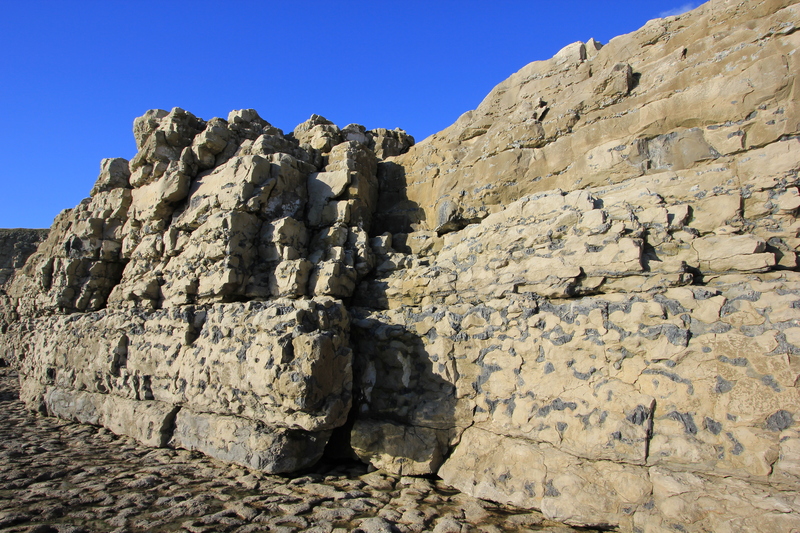 Dancing Ledge is said to get its name from the way in which the sea moves over the stone shelf at certain points of the tide. The shallow undulations in the rock make the water bob around, giving the impression that the entire shelf is dancing. It’s a bit of a scramble to get down to the ledge itself. Once I had navigated my way down I walked up to its western end. 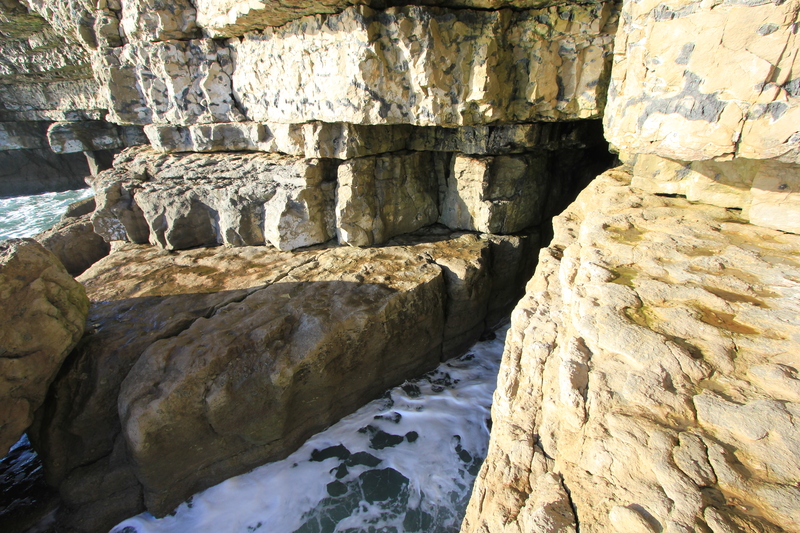 All along this section of the coast are caves and crevices. I stood at the far end of the ledge and looked at the closest cave. Could I get into it? 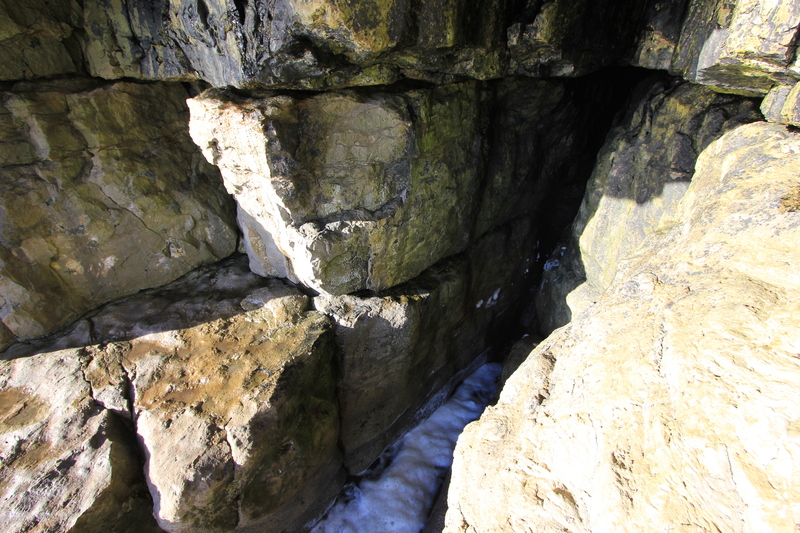 There seemed to be a small groove cut into the rock, just above the ledge itself, which might allow me to squeeze in. I approached it and pondered. Did it give me enough space to clamber in? I certainly didn’t want to fall in – I didn’t have my wetsuit with me! 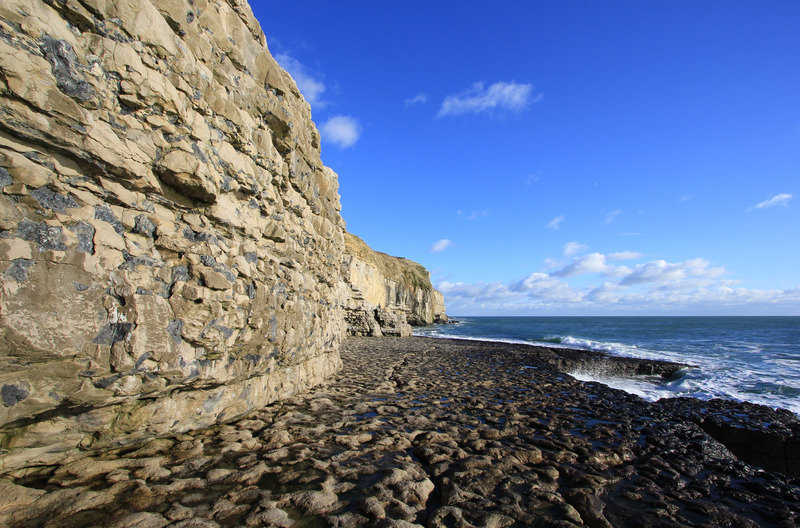 In fact when the tide is right Dancing Ledge affords a great platform for leaping into the sea. 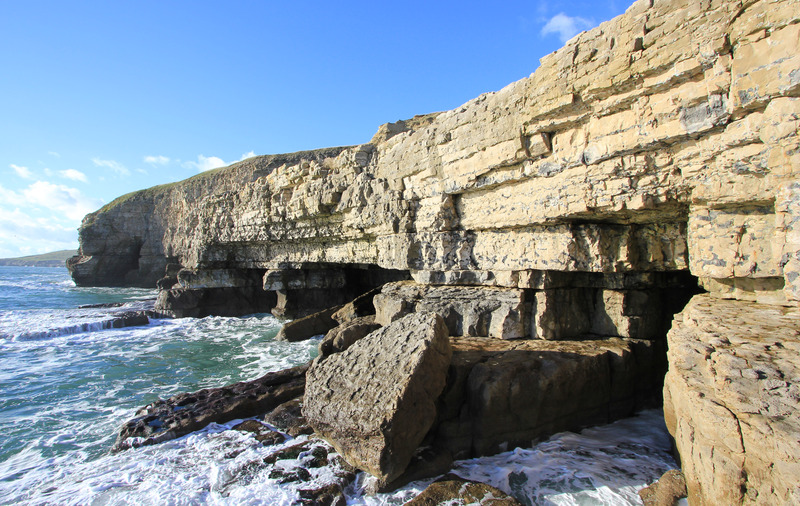 It is a popular spot for coasteering. 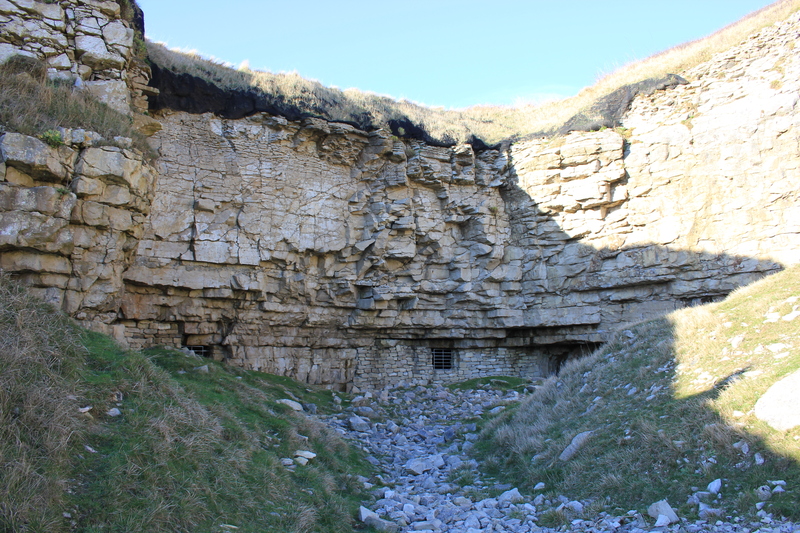 Many years ago a swimming pool was even quarried out of the lower ledge for the use of a local school! However, it is also one of those places along the coast which can be dangerous in the wrong conditions; people have died here. 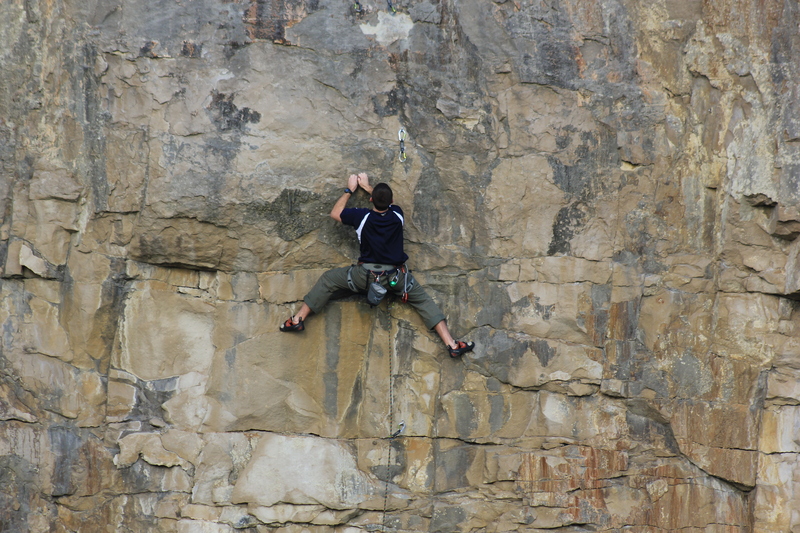 I crept forward cautiously, ensuring each handhold and foothold was secure before moving on. The cave dwindled into nothing. So did my shelf. It had been a tight squeeze getting in – now to get back out again! 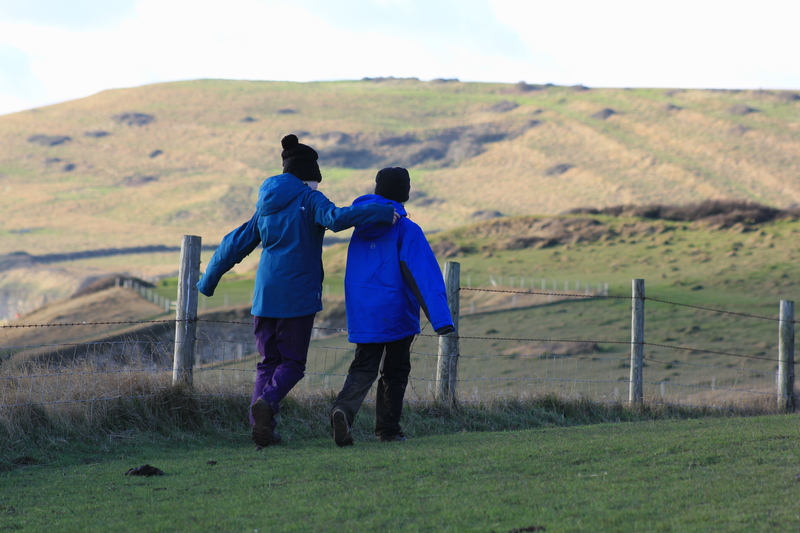 …and a clamber back up the rocks. I would have loved to have stayed and explore further, but time was pressing on and we had to do the same. I suspect, however, that we’ll be back here one day – hopefully with our wetsuits. And that, I think, pretty much sums up why we are on this walk around the coast of Britain. 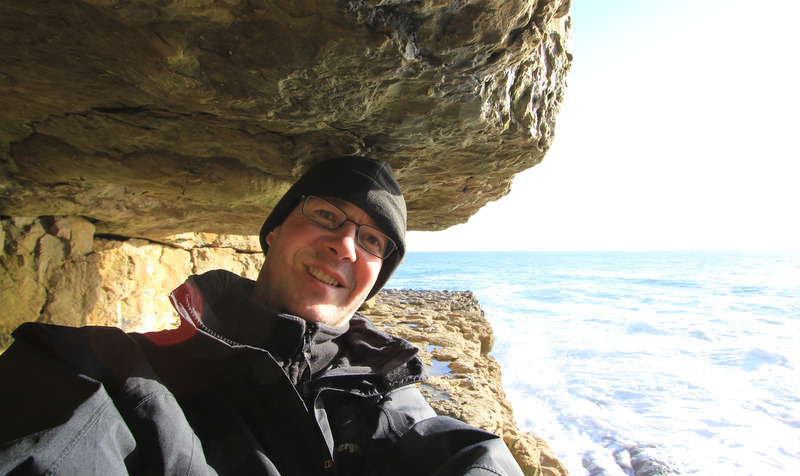 This entry was posted in Dorset and tagged caves, coast, coasteering, Dancing Ledge, Derek Jarman, Dorset, quarry, travel, walking. Bookmark the permalink. …Again – *love* that last picture! Beautiful! This is Bucket List Country!